DTMF is very popular in safety surveillance, alarming and intelligent monitoring applications. Dual-tone multi-frequency (DTMF) is used for telecommunication signaling over analog telephone lines in the voice-frequency band between telephone handsets or other communication devices and the switching center. Each DTMF “tone” has actually two tones: a low-frequency tone and a high-frequency tone-combined. (Hence the name “dual tone multi-frequency”). Looking at the standard phone keypad as a grid, the low tone corresponds to the row, while the high tone corresponds to the column.Compared with SMS or GPRS controlling, DTMF is easier to control and transfer voice more timely. DTMF is very popular in Safety Surveillance, Alarming and Intelligent Monitoring applications. 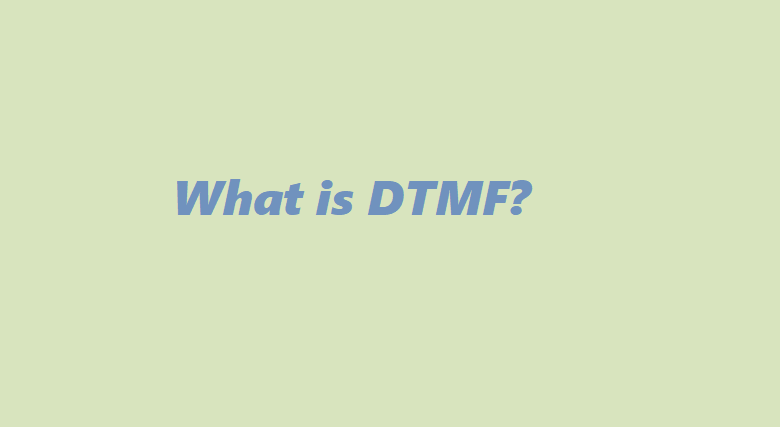 DTMF as the name suggests uses a combination of two sine wave tones to represent a key. These tones are called row and column frequencies as they correspond to the layout of a telephone keypad. A DTMF keypad (generator or encoder) generates a sinusoidal tone which is mixture of the row and column frequencies. The row frequencies are low group frequencies. The column frequencies belong to high group frequencies. This prevents misinterpretation of the harmonics. Also the frequencies for DTMF are so chosen that none have a harmonic relationship with the others and that mixing the frequencies would not produce sum or product frequencies that could mimic another valid tone. The high-group frequencies (the column tones) are slightly louder than the low-group to compensate for the high-frequency roll off of voice audio systems. DTMF tones are able to represent one of the 16 different states or symbols on the keypad. This is equivalent to 4 bits of data, also known as nibble. ← What is Cellular IoT?